At the beginning of a year, we’re always more open to trying new things. It’s likely due to that whole ‘new year, new start’ feeling we all get on the 1st January. That’s why this month, we’ll be talking all about how to start and launch a business. So whether you’re completely new to the concept or a seasoned pro, we’ll show you how to find your next big idea, and how to launch. First things first, you need a business idea to get going! For some people this is the easiest part of the process, they’re just brimming with ideas! However, you might be like me where sometimes the ideation process takes a bit of research and a lot of thinking. That’s why I’ve pulled together this list to make that process a little bit easier. Here’s 16 ways that you can find your next business idea and get started on the road to success. As cheesey as it sounds, the best place to start is with yourself. Looking for inspiration in your own life is the easiest option. Let’s start on a positive note, shall we? Start by looking at what you’re actually good at, if you’re skilled or have a passion for something then you’ll likely enjoy it more and be able to make a success of it. So start by listing any skills that you have and any hobbies that you have. Is there a potential to turn any of these into a business? One that I’ve always considered is a brownie store, I’m often being asked to make brownies to order for friends and family, so why not start making money from it? Is there something that really bugs you day in and day out? Could you solve that problem? Bingo! There’s your business idea. It’s highly likely that any problems that you face everyday are problems that others also face, so you’ll already have your target audience. Think back to the last time you tried to find the solution to a problem, could you not find the answer on Google? It might have been the one time there wasn’t actually an app for that. If so, time to build it. One of the biggest mistakes that any founder can do is not talk to people, and this counts whether you’ve already got your business set up or if you’re still looking for ideas. You could start by asking your friends and family and find out what their problems are. Use them to validate any ideas you’re already bouncing around. For me, I might ask them if I was to sell brownies, would they purchase them? They might actually turn around and say well actually your cookies are way better than your brownies, I’d buy those! Sometimes we can get stuck in our own little worlds, and that can act as a blinker when it comes to new ideas. Taking the blinkers off, and taking yourself out of your comfort zone can really help you to see things differently. It’s that different perspective that could result in a little spark of an idea for a new business. Whether it’s travelling somewhere new, trying out a new experience or just switching off from the grid, try something new and see what ideas you come up with! Similar to the first idea – what are you good at – this next tip is to take the skills you have and apply them to a completely new field to innovate and disrupt. There are many industries that are ripe for disruption, and your skills could make a difference! Remember we’re not talking about technical skills here, you don’t have to be a developer to be able to disrupt something. Some of the biggest product successes have come not from new inventions, but simply improving existing products. Take Steve Jobs, he didn’t invent the MP3 player, there were several already on the market prior to the release of the iPod. Instead he simply looked at existing products and improved them to create an even better, more desirable product. Is there a fault that you can remove? Not every product is perfect, but you may be able to fix a common fault in a product or service quicker than existing businesses. Can you remove a step from an existing process to make it more efficient in terms of time and resources? Remove a pain point that no one likes doing and would be happy to part with some of their hard earned cash to make this problem go away! Use Receipt Bank as an example, previously businesses would have to manually add invoices and receipts into a spreadsheet each month, but with their software they’ve removed that step by allowing you to upload the receipts and invoices straight to your accounting software. What’s missing? This time, instead of fixing an issue or removing a step, look for something that you could add. Is there a specific feature that you think would really improve a service? Slack identified a big opportunity to develop their add on market by launching an investment fund designed for startups looking to build integrations specifically on Slack. Can you identify a gap in a particular ecosystem that you could take advantage of to launch a business? Are you able to just generally improve a product or service? Whether it’s through customization or making tasks feel less unpleasant, speak to existing users and find out what would make life even easier for them and build it. Can you deliver the same service but at a cheaper cost? Then what are you waiting for? The key to this is making sure that customers do not lose out too much on customer experience because of the price. The way to success is being able to provide pretty much, if not exactly the same experience but at a lower cost. This is perhaps one of the most common ways to come up with a business idea, but the reason it’s so common is because it’s one of the simplest methods. If there’s a gap you need to fill it! You might actually come across a gap whilst considering some of the problems that you have in your life. Couldn’t find what you were looking for in an online search – there’s your business idea. I’m not asking you to go all Nostradamus on us but if it helps, you might consider getting your crystal ball out for this one. Start thinking about what’s next. Can you create a service that’s ahead of the curve, or solve a problem that doesn’t even exist yet? Looking ahead is all about adapting to evolving needs. Let’s say that VR takes off the way everyone is predicting, what services and products will VR users require? Perhaps people require a product to help them readjust to the real world after a marathon VR session. If you’re really struggling, just start doing anything. Don’t think too much about whether it’ll be a success, just do. Sometimes it’s easy to get too wrapped up in the thinking process when really just by starting something, you’ll eventually be struck with inspiration. One really simple way to get started is to just mix and match random products in any store (supermarket, toy, hardware, your choice!). Pick up two products from different aisles, could you mash these two together to make a new product? You never know what kind of idea you’ll come up with! While the last step was all about randomly sparking ideas, this one is for those who prefer the more meticulous approach, backed up with hard, cold facts. This is all about doing your research to find out what’s selling and who’s buying. There are a number of places where you can start looking for product ideas, online consumer trend publications such as TrendHunter, and social curation sites such as Polyvore. Looking to industry leaders and sites such as Product Hunt is also another great place to start. Sites such as Product Hunt are typically used by early adopters, so it’s a great way to see what kinds of products are becoming more and more popular. Don’t leave it there though, there are many other places to gain inspiration. Marketplaces (both B2B and consumer facing) are great to spot trends. Just take a look at the most popular products on Amazon and AliBaba! Even unlikely sites such as Craigslist can be hugely helpful – check out the gigs section to see what kind of work people are asking for. If you’re really struggling with the research side of things, I’d recommend checking out either Shopify or A Better Lemonade Stand’s blogs. They regularly post articles such as this and this with actual lists of products that are currently trending. Reviews are essential for any business, and they can easily help a business thrive or die. But reviews don’t just tell you about the product or business it’s about – they tell you so much more about what the customer wants. Within an industry or product category you’re interested in, try looking through the 2-3 star reviews on Amazon and find out what people are complaining about. Remember that ‘Improve Existing Products’ tip above? Reviews can be really helpful for this! Along a similar vein as the last tip – searching through comments and posts on social media can also give you some of the same inspiration. Here’s a quick tip, try searching for “does anyone know how to” on Twitter and see what comes back. A quick check whilst writing this and there’s tweets covering everything from dog training, to beauty, technical issues, even making corsages. The same works for the phrase “why isn’t there”. While there will be a lot of rubbish to get through, if you have the time to filter through it and narrow down your searches to find common complaints, you could find yourself a winning business. 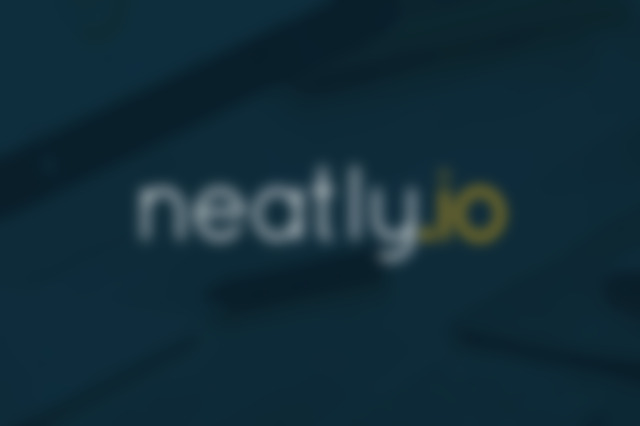 Now we don’t condone this here at neatly, but this is one way that you can find your next business. Looking at business’ that are already validated, and building your own version could work. Make sure you’re not infringing any patents or copyrights in doing so, and in order to make sure you succeed, you will have to offer your own spin on it. Perhaps the idea is taking off in one country and you want to see if you can replicate it in your home country? We are not going to mention any names however, some are some very successful and large companies who do this regularly, identify a market in another country, see how the business has worked, and implement the same (or similar service) in your own country or local area. Coming up with a business or product idea is not always the easiest for some of us. While others are blessed with several light bulbs above their head, the rest of us have to work that little bit harder to get that bulb lit. With the above list of methods to map out some ideas, hopefully you’ll be brimming with inspiration and raring to go. Once you have your idea, the next step is to launch and validate! Stay tuned for more on that. Found some great resources to help find your next idea, share them with us below in the comments! Disclaimer: Some of the links above are affiliate, which means when you click on a link that we recommend we may receive a commission. These links do not influence any of the opinions expressed in this, or any, post.